Choosing between Pay-Per-Click Marketing and Search Engine Optimization is not a matter of measuring return on investment. There are major differences between the two approaches and the choice between one or the other is based on different factors; you must understand the differences before a final decision is made. Here are the steps to choosing between the two. Many web marketers who have used pay-per-click (PPC) advertising, bothered by the ever-increasing cost of PPC or stung by instances of click fraud, are turning to search engine optimization (SEO) as a substitute or replacement for their PPC efforts. The problem is that many of these advertisers then start comparing their returns on SEO and find these lacking. 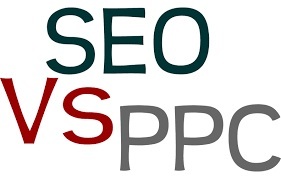 Comparing PPC to SEO is like comparing an apple to an orange – there is simply no comparison. They have distinct differences; they are both fruit-yes, but the differences outweigh the similarities. Choosing between PPC and SEO is not a matter of tossing a coin or playing rock-paper-scissors. You must have a clear understanding of each approach and how to measure the return on investment of each before making a decision. The key to PPC marketing is to think of it in the same way as ‘conventional’ advertising – the money you pay out results in the ‘display’ of your ad for a specific period of time. PPC marketing certainly works in the same way – the moment terms are settled between you and the internet ‘channel’ you selected (e.g., the search engine) your ads can appear. The moment you stop paying, your ads will be removed. Results for PPC advertising are immediate and measurable – you start getting results within days of your ad being posted on the search engine page and (most of the time), people stop visiting your site the moment your ad is removed. Think of an SEO effort as your typical brick-and-mortar establishment – you have the place and the merchandise, while the SEO company paints the building, sets up window displays, puts your merchandise on display and then waits for the customers to come in. If your SEO team did the job properly, people will ‘wander’ in. You may decide to let your SEO group go after this and leave everything as is, but people will still drop by because their attention will still be called by your site’s window displays, exterior paint job, merchandising display, or word-of-mouth even after the SEO team has left for other assignments. Therein lies the difference between the two. You can think of PPC as advertising – a major investment with immediate impact and results, since people’s attention is called to your site – and people forget about you when the advertising is taken down (out of sight, out of mind); SEO efforts, on the other hand, is a long-term investment that takes time to set up and implement – but will last until long after the effort is completed. 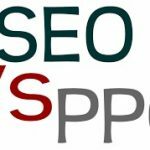 From this perspective, it is not a matter of ‘choosing’ between one and the other – there are specific conditions where one is preferable to the other (for example, if you need immediate results then PPC is the way to go) or you can opt to go with SEO until you have the means to invest in PPC. As was said, choosing one or the other is not a matter of a coin toss – there are other factors to consider. Get A Fast, Free Website Report! Enter Your Website URL Below To Get A Full In-depth SEO Report and Tips.